Come explore the beautiful Slots Champion Casino where players win BIG! Enjoy our luxurious video slots experience while you build your bankroll to become the next millionaire. 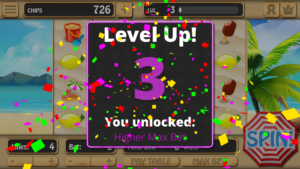 Level up as you play to unlock new machines, higher maximum bets, fun bonus games, and more unique features. Play for free on all Android and iOS smartphones and tablets. Slots Champion Casino Lobby – Pick your favorite slot machine to play! 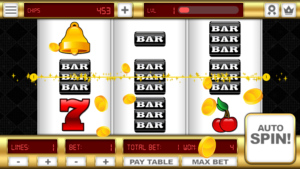 Classic 3 Reel Slot Machine – Who doesn’t love the classic slot machine? 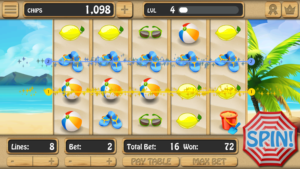 Beach Slot Machine – Relax to ocean waves while playing this exciting beach themed slot machine. 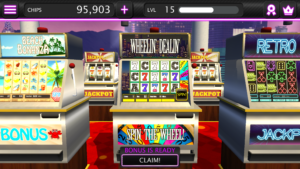 Big Wheel Slot Machine – Our favorite game show themed slot machine that lets you spin the big wheel and win a fortune! 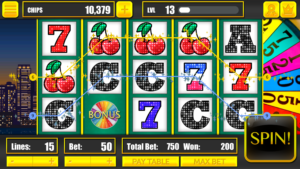 Neon Retro Slot Machine – Old school 1980’s arcade theme will bring back those winning memories. Level up to unlock new features in the Slots Champion casino. Coin Bonus collected every 30 minutes! Reach ever-higher levels to climb the global leaderboards while earning achievements! 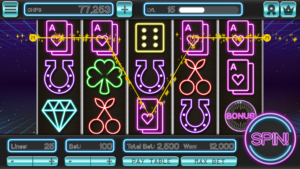 Slots Champion is available for Web Play or as a FREE app download from the Apple App Store or Google Play Store.